Picture above: Captain Emily Bobenrieth, Maureen Bobenrieth (Manny’s wife), Sergeant Major Manuel (Manny) Bobenrieth, and Captain Vincent Bobenrieth - photo by Lou Coppola. 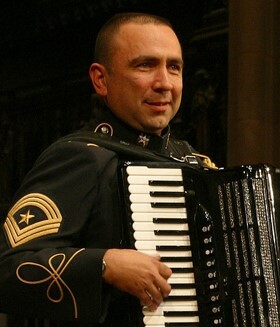 AAA Governing Board member, Sergeant Major Manuel (Manny) Bobenrieth, accordionist for the U.S. Army Strings, will retire on December 31 after a stellar 32-year career. 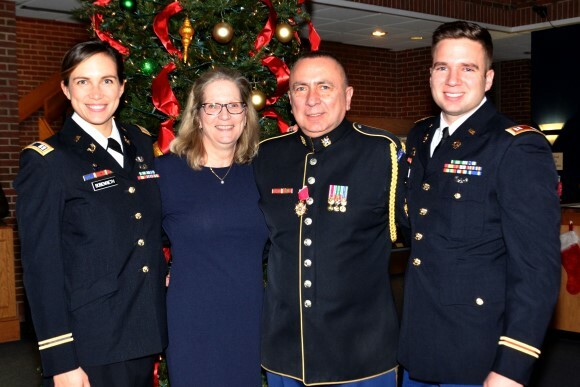 On December 7, in a ceremony recognizing Manny’s many achievements throughout his career, he was presented with multiple awards and gifts from the Army, members of the Strings, and his two children who are both Captains in the U.S. Army. 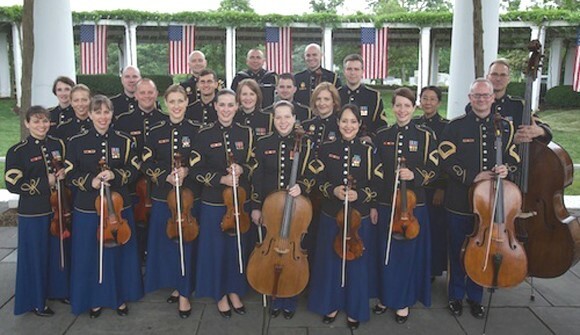 The large auditorium was filled to capacity with members of the military including some of the U.S. Army's highest ranking officers, alumni of the various Army bands, family and friends, including many friends from the accordion community.